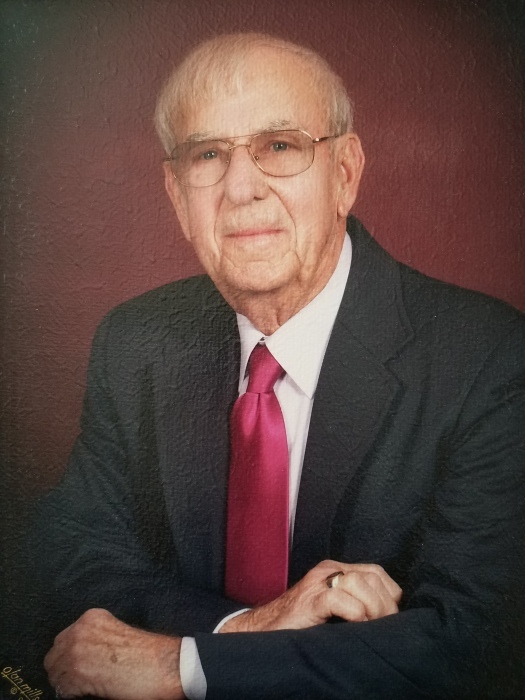 Charles Leon Self, 89 of Moberly, Missouri, passed away February 9, 2019. Born January 29, 1930 in Danville, Indiana, he was the son of the late Sansal and Ruby Hendrick Self. He married Joy M. Myers on May 26, 1950 in Speedway, Indiana. Leon was a farmer, realtor, and a member of the Western Star Masonic Lodge #26 in Danville. Survivors include his sons, Charles and Terry Self, both of Missouri; daughter, Vonda (Self) Neely of Colorado; and 4 grandchildren; Jacob Self, Brandon Gill, Ashley Finfrock, and Hana Cherian. His parents, wife, grandson and sister, Doris S. Redford, preceded him in death. A graveside service will be held at 2:30 pm on Wednesday, February 13, 2019 in Fairview Cemetery, North Salem. Baker Funeral Home, Danville, is in charge of the arrangements.